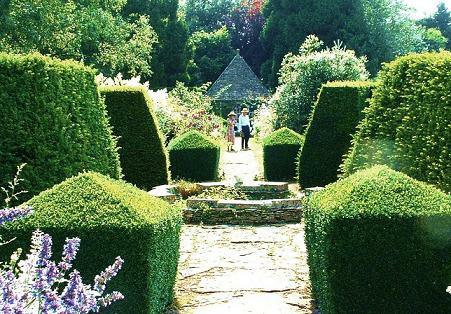 A stunning courtyard garden greets you as you enter through the door by the side of the Rodmarton Manor. 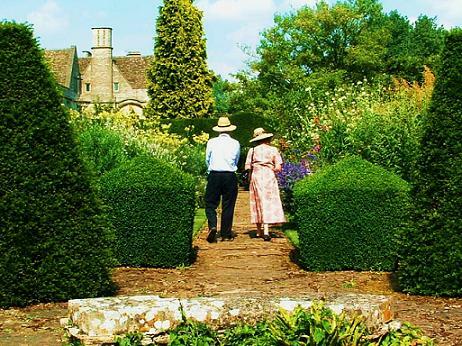 Rodmarton Manor is an Arts and Crafts House with a beautiful garden. 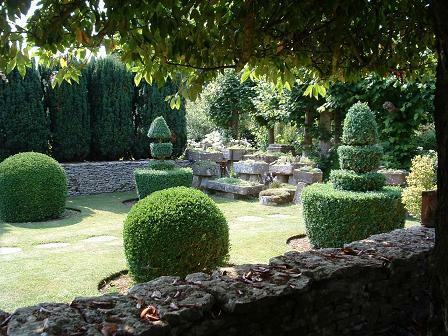 The courtyard is divided into many sections with lovely plantings and colourful pots amongst areas of dappled shade. This leads to the double herbaceous borders, The path takes you to a charming summer house which looks back towards the manor house. Combine your visit with a tour of this Arts and Crafts house. 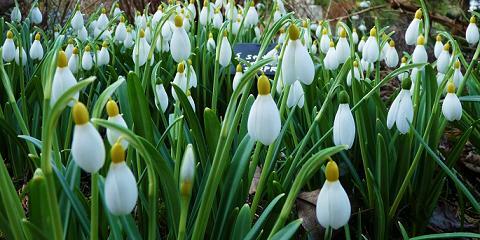 In February there are Snowdrop openings with a vast collection of different varieties. 2019 - The garden will be open for snowdrops on 3rd, 10th, 14th and 17th February from 1.30pm. The house and garden will be open in 2019 on Easter Monday 22 April: 2 - 5pm, then Wednesdays, Saturdays and Bank Holidays, beginning of May to end of September: 2 - 5pm (not guided tours). See website for Group Tours at other times. If you want to find places to stay near Rodmarton Manor, why not stay in one of our recommended hotels. Each hotel has genuine guest reviews enabling you to book from anywhere in the world in total confidence. Not only do we feature hotels near the garden, we also feature hotels worldwide and at all major airports. Special prices up to 70% off standard rates as well as hundreds of exclusive deals. Look now - click here.